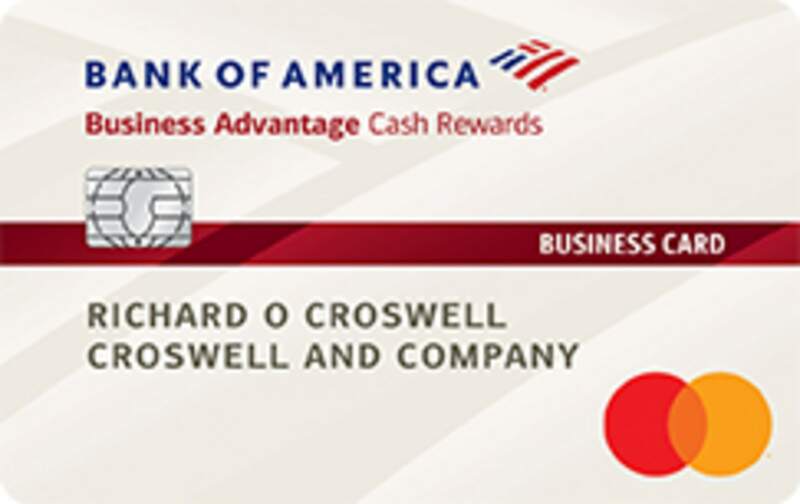 The Bank of America® Business Advantage Cash Rewards Mastercard® credit card is one of Bank of America's premier credit cards. 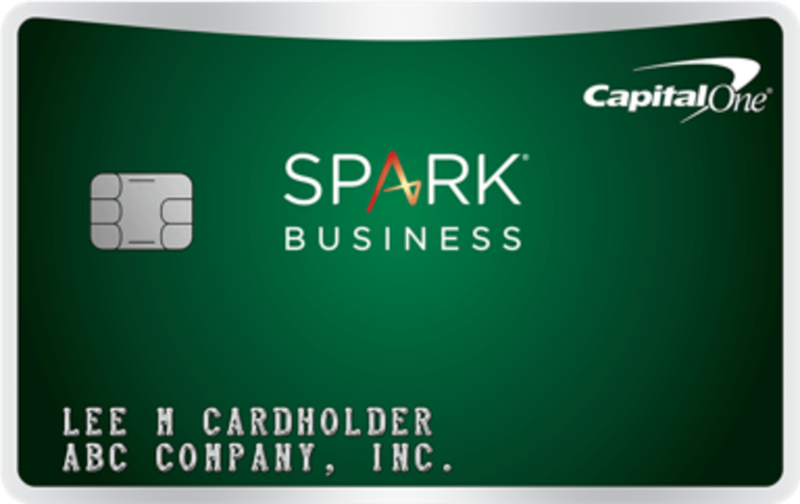 This cash-back card is best for businesses that spend a lot at gas stations and office supply stores. That said, the card can also be highly lucrative for any business simply looking for a cash-back card. If you're an existing Bank of America customer, we recommend applying for the Bank of America® Business Advantage Cash Rewards Mastercard® credit card. Even if you're not, read on to see if the card makes sense for your business. The Bank of America® Business Advantage Cash Rewards Mastercard® credit card offers 3% cash back at your choice of the following six categories: gas stations, office supply stores, travel, TV/telecom & wireless, computer services or business consulting services, 2% cash back on dining (for the first $50,000 in combined choice category/dining purchases each calendar year, 1% thereafter) and 1% cash back on all purchases. The Bank of America® Business Advantage Cash Rewards Mastercard® credit card packs an unimpressive sign-up bonus of a $300 statement credit when you make at least $3,000 in net purchases within 90 days of account opening. It's quite typical for business cards to offer around $500 as a sign-up bonus. The Bank of America® Business Advantage Cash Rewards Mastercard® credit card is one of the better business cash-back cards available. That said, it's best for businesses with very specific spending needs. If you're interested in reading more about other Bank of America business cards, you can read our full roundup here, or you can read our best small-business card roundup here. How Does the Bank of America® Business Advantage Cash Rewards Mastercard® credit card Compare to Other Cards? While the Bank of America® Business Advantage Cash Rewards Mastercard® credit card is a great card, we always advocate for consumers to shop around and compare different credit card offers. Below, we provide other cards that may be more lucrative for your business. 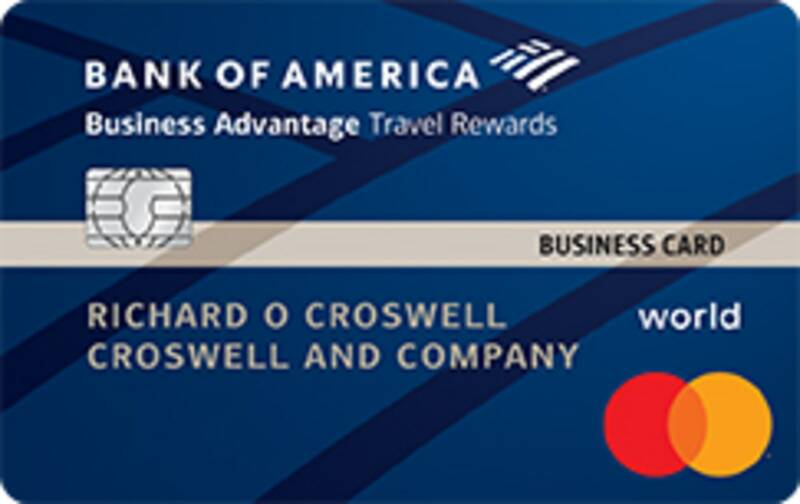 The Bank of America® Business Advantage Travel Rewards World Mastercard® credit card is a very straightforward card, as it earns businesses 3 points per dollar spent on travel purchases through the BoA Travel Center and 1.5 points per dollar spent on all other purchases. This means, at the very worst, your purchases will yield a 1.5% rewards rate. This card is great for businesses with varied expenses. Unlike the Bank of America® Business Advantage Cash Rewards Mastercard® credit card, the Bank of America® Business Advantage Travel Rewards World Mastercard® credit card doesn't have foreign transactions fees, making it the perfect travel card for your business. Furthermore, it also doesn't have an annual fee. While it's marketed as a travel card, points can also be redeemed for cash back. Therefore, the card is quite flexible in terms of how it can be utilized. Right off the bat, prospective applicants should know that the Capital One® Spark® Cash for Business has a $95 annual fee, although it's waived in the first year. In return for the annual fee, the card offers users the ability to earn 2% cash back on all purchases, which is among the highest flat cash-back rates available. There are no categories to keep track of, meaning the card is just as effective at rewarding users no matter what you purchase. In terms of a sign-up bonus, the card offers $500 cash after you spend $4,500 within three months of account opening. That's on par with some of the higher cash-back bonuses available for business cards. That said, it's also one of the higher spending requirements we've seen. You can also get free employee cards and earn rewards for their spending; however, you'll be responsible for the expenses put on the cards. The Capital One® Spark® Cash Select for Business can be thought of as a truncated version of the Capital One® Spark® Cash for Business. 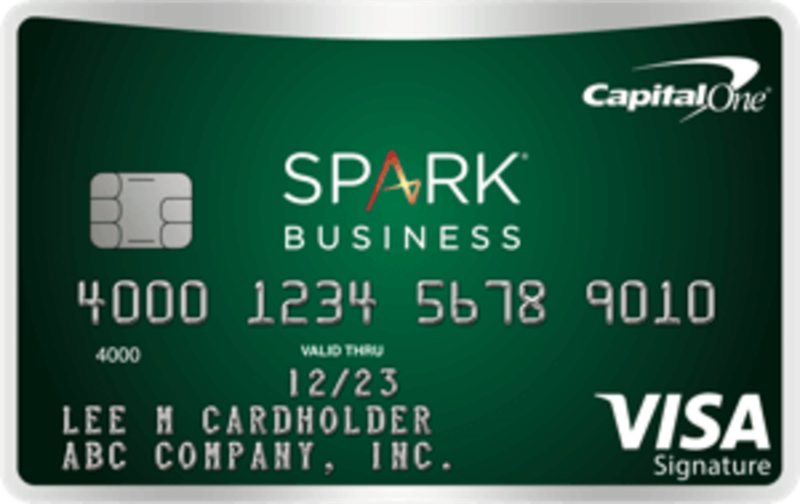 Unlike the Capital One® Spark® Cash for Business, the Capital One® Spark® Cash Select for Business doesn't have an annual fee. However, it also only awards 1.5% cash back on all purchases. The card also has a smaller sign-up bonus of $200 provided you spend $3,000 within three months of account opening. Just know that if you spend $19,000 or more every year, the extra 0.5% cash-back rate on the Capital One® Spark® Cash for Business makes up for the card's annual fee. While a 1.5% cash-back rate is decent, it's worth nothing that higher cash-back rates can be achieved. However, most of the time, higher cash-back rates are limited to certain categories. Even then, issuers will impose a rewards threshold in said categories. If you're simply looking for a cash-back credit card with no annual fee, the Capital One® Spark® Cash Select for Business should be among cards that you consider.